London Underground (LU) today confirmed that it will take over delivery of the Croxley Rail Link after an agreement was reached with the Department for Transport (DfT) and Hertfordshire County Council (HCC) over funding. Construction work to re-route and extend the Metropolitan line to Watford Junction is planned to start later this year. The plan, which is part of a major investment designed to support the growth and regeneration in the area, includes creating new links to Watford General Hospital, Croxley Business Park and Cardiff Road Industrial Estate - increasing employment opportunities. Two new stations will be created at Cassiobridge and Watford Vicarage Road, served by new walk-through air-conditioned trains every ten minutes to and from central London during peak hours. The existing Watford station will close following the opening of the new stations, and the first trains are expected to run on the extended line by 2019. David Hughes, LU’s Director of Major Programme Sponsorship, said: “We have a track record for successfully delivering major projects - the recent signalling upgrade of the Northern line, which has boosted capacity by 20 per cent, being the latest example. 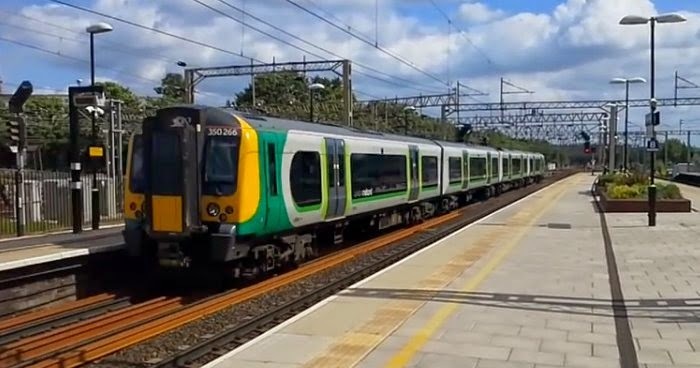 Until now the Croxley Rail link project has been managed by Hertfordshire County Council, who along with Government are providing the bulk of the project funding. Late last year, faced with significant project slippage and cost escalation, the Government asked us to consider stepping in and taking over responsibility for delivery of the scheme. We were clear that a suitable funding package needed to be in place before we would be prepared to take this on. LU is carrying out a huge programme of rebuilding, with major stations, trains, track and signalling being updated or replaced to provide more capacity for a growing city. Line modernisation is at the core of LU’s investment programme, which will deliver more than 30 per cent increase in capacity. The programme is being delivered over the coming years, with work to the Circle, District, Hammersmith & City and Metropolitan lines well underway. Following modernisation, the Victoria line is now operating one of the highest frequency train services anywhere in Europe, the Jubilee line service has been significantly improved, and the first phase of the modernisation of the Northern line has recently been completed with capacity increased by 20 per cent – the equivalent space for an extra 11,000 passengers per hour. New air-conditioned walk-through trains are being introduced on 40 per cent of the LU network. The Circle, Metropolitan and Hammersmith & City lines currently have these trains in service and they are currently being introduced on to the District line, where more trains will be delivered during 2015.